Vogue Turkey must’ve heard our cries last month, after our appalled forum members called out the disastrous Sasha Pivovarova cover. 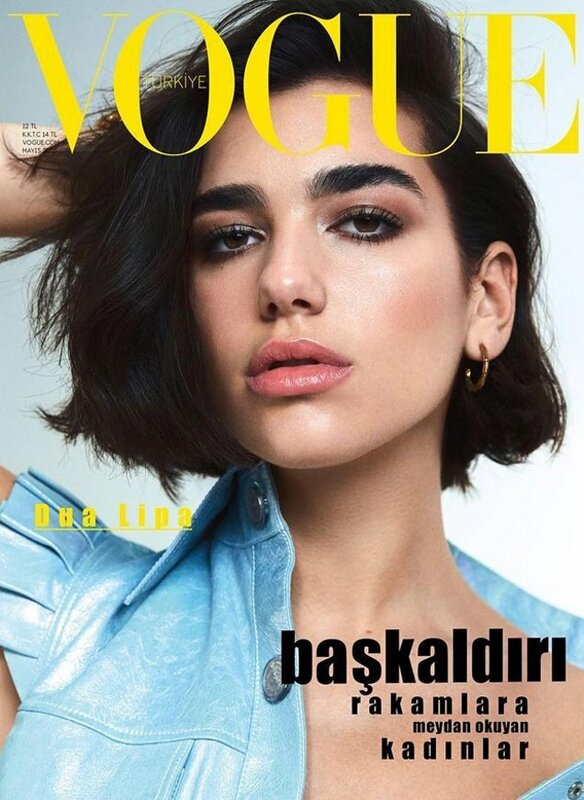 The magazine has seemingly upped the ante with a bold and surprising cover for May 2018, giving Dua Lipa (who is also currently fronting V Magazine) her very first Vogue appearance. Photographed by Benjamin Lennox, the Brit songstress wears Chanel and serves good face in the flawless close-up portrait cover image. The cover went down a treat with the majority of our forum members. “She must be huge in Turkey to warrant this cover. Love her. Love this. I really like the shorter hair on her. Edgier look. The makeup is lovely too. I’d love her see a British Vogue cover,” said MON. “I think she’s gorgeous, and it’s great to have new faces on the front of magazines,” commented tigerrouge. “The best cover I saw from this magazine,” forum member caioherrero added. “This is a really good cover, their best in a long time! I won’t be surprised to see her on British Vogue,” gunsnroses enthused. “90’s i-D vibe, not bad…” confessed kasper. “Could be i-D or Dazed & Confused, but not Vogue,” shared an underwhelmed MerissaV. Are you feeling it? Await more from the issue and drop us a comment here.